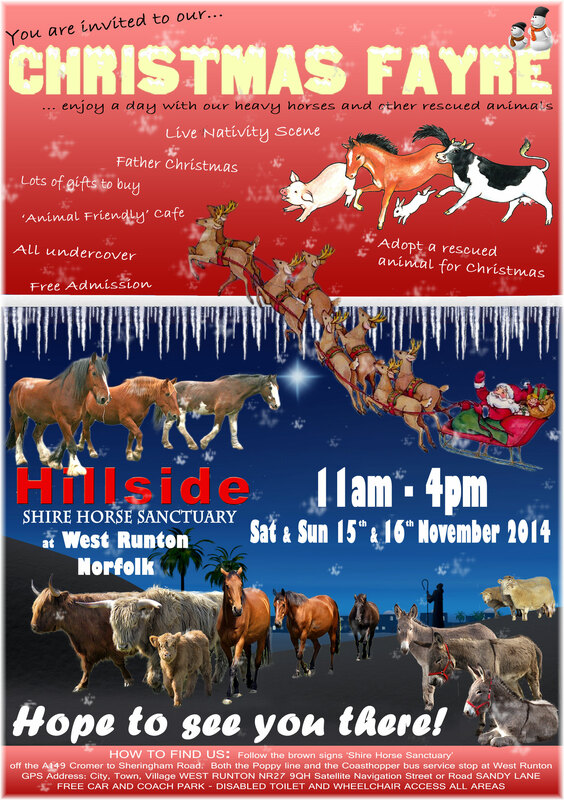 This weekend, the marvellous people at Hillside Animal Sanctuary will be holding a Christmas Fayre, to raise much needed funds for their invaluable work while raising awareness of the Sanctuary and its role protecting animals – currently the sanctuary looks after over 2,000 animals including horses, donkeys and dogs. The event will take place this Saturday & Sunday (15th & 16th) and will feature a whole range of festive activities for all to enjoy. If you feel like getting into the Christmas spirit while helping raise money for animals, this is an event not to be missed.